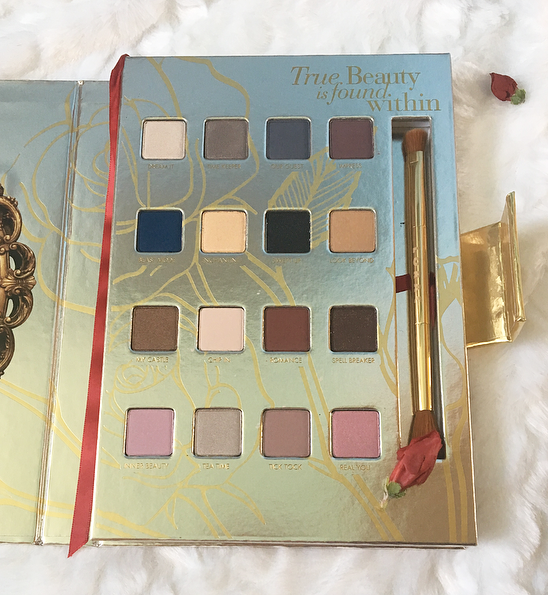 Lorac made a sneaky launch of this beautiful Beauty and the Beast-inspired collection just last week. 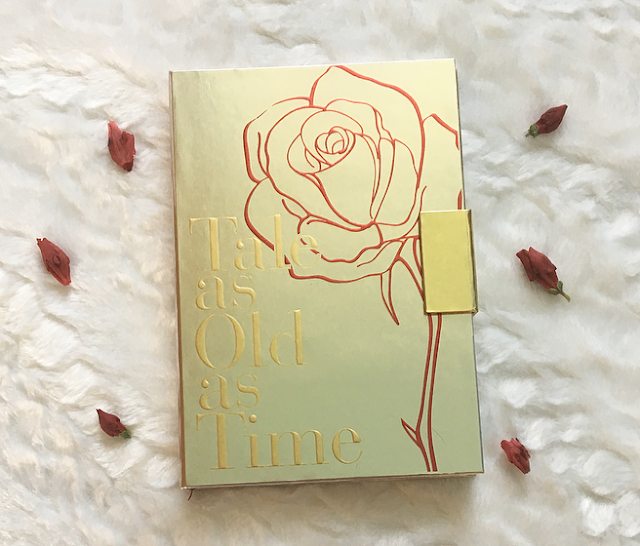 The packaging immediately drew me in (as packaging often does, I'm ashamed to admit) and out of the different items available, I went for the Tale as Old as Time eyeshadow palette. I unfortunately didn't get to see the live-action Beauty and the Beast movie, but I do like the animated version (despite the slightly creepy buffalo/human Stockholm Syndrome love story) and Disney inspired makeup always pulls in a lot of people. The MAC x Cinderella collection from 2015 is still going for big bucks online today! The palette was also Tati approved, so I immediately placed my order. Her video covers the other items in the collection as well so I recommend watching it if you're interested in this line! The packaging is absolutely stunning. It is shaped like a book and has two tones of gold on it, one for the majority of the cover and the other for the metallic clasp and the 'Tale as Old as Time' logo. A red rose detail covers the front and the Beauty and the Beast logo is on the back. The metallic clasp is strong and flips open to reveal an old-fashioned mirror and sixteen eyeshadows. There are also two quotes, one near the mirror that says "love looks not with the eyes but with the mind", and the other above the eyeshadows that says "true beauty is found within". The palette includes a double-sided brush, which is actually usable! There are a few red accents to go along with the rose, like a red ribbon bookmark and a red ribbon in the brush holder. It's also a pain to photograph, so please bear with me! The eyeshadows supposedly have the Lorac Pro formula, which is very pigmented and blendable but powdery. 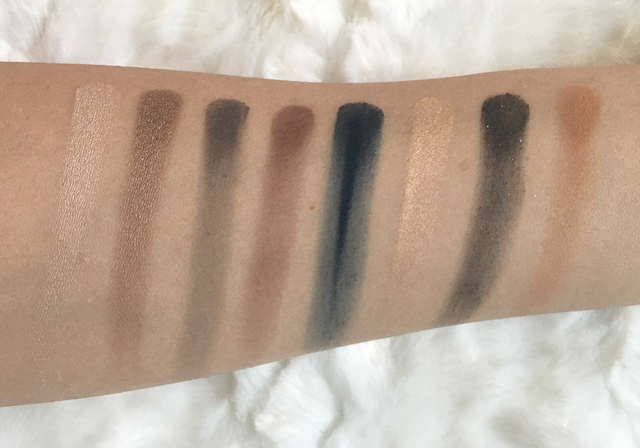 I personally like the formula and I talk about it more in my Lorac Pro 3 palette review, but I know some people really hate the amount of fallout these shadows can have. Based on swatches this does feel like the original Pro formula though there is a glitter-infused finish in here that I haven't seen in my other Lorac palette. The color selection is really pretty in my opinion. There are a lot of neutrals and a variety of warm and cool tones. I especially like that they included a variety of highlighting shades, transitions, and crease colors! I feel like I will be able to get a lot of different looks from this palette, most of them wearable. I believe they are designed so that each row of shadows makes a cohesive look, but I will definitely mix and match them, too. All of these swatches were made by swirling my finger in the pan three times and I didn't use any primer or build them up at all! As you can tell the pigment is very impressive, especially on the shimmers. I can't wait to try using Swept Up in an eye look, I don't have any shades like it. The only shimmer that isn't very smooth is Real You, which doesn't look glittery in the pan but has some silver glitter in it. 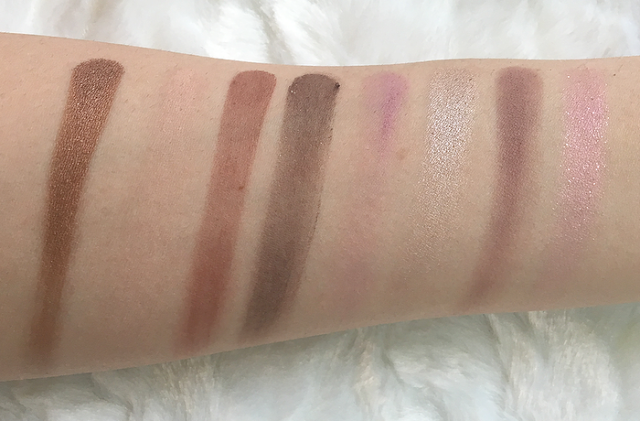 The mattes feel very creamy and smooth, very much like the mattes in the Lorac Pro 3 palette. There is a good mix of mattes and shimmers and overall I think this is a very well-done palette! If you don't have a lot of these shades or love Beauty and the Beast, you may want to consider picking it up. I have more than a dozen palettes and I'm getting shades that I don't have in any other palette, which I'm really happy about. That makes it good for both collectors and beginners! This palette is limited edition and is currently sold out on the Lorac website! It will hopefully be back in stock soon and brought to Ulta and Sephora. 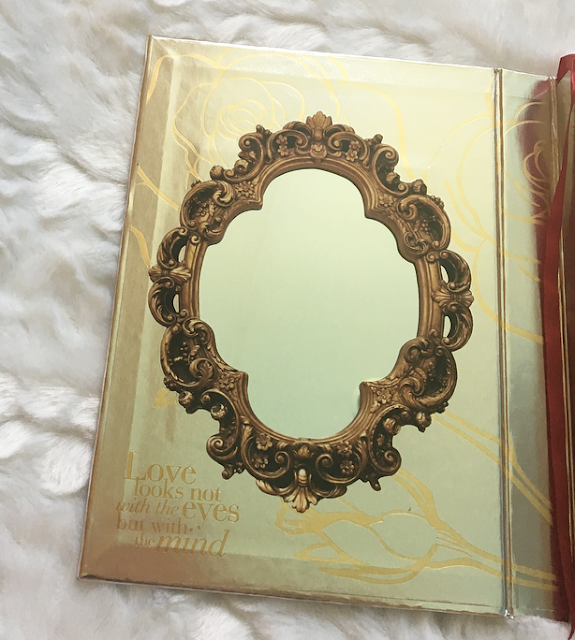 16 comments on "Lorac Beauty and the Beast Palette First Impressions"
This palette look gorgeous! I have been wanting to get the Pro 3 for ages, but I may have to get my hands on this one. These shades are so lovely! I love the cool tone shades in this. This palette sounds great! I love the colors! The packaging is just gorgoues and it looks like the quality is perfectly pigmented and buttery. On the other hand I might the only one, but I expected just a little bit different color selection. Love the look of all the colours in this palette! The packaging of this Beauty and the Beast palette is so cute, although I'm not a huge fan of cardboard packaging as it can get dirty quick :( I love the shades in this one though, and it's great that they've popped in a few matte shades too! Glad to see that this palette maintains the high quality pigmentation of the other Lorac palettes. Such a lovely novelty palette! I love the packaging! Those look incredibly pigmented! I especially love the shade "My Castle". I probably wouldn't get this though, I tend to not go for cool shades. The packaging is beautiful, and I love how you incorporated mini rose buds as props! Looks like a lovely palette! Lorac shadows are supposed to be really good. This palette looks really nice, the shades look nice and pigmented and I love the names of the shades. At the moment I'm loving anything to do with Beauty and the Beast, I so enjoyed the film! I have been using this foundation for a long time. Even after doing my make-up lesson London, I used so many brands to improve my skills, until now but I couldn't stop using this one. I did my makeup lesson from Lina. She is really talented, caring and attentive towards her all students. She helped me a lot to improve my skill.